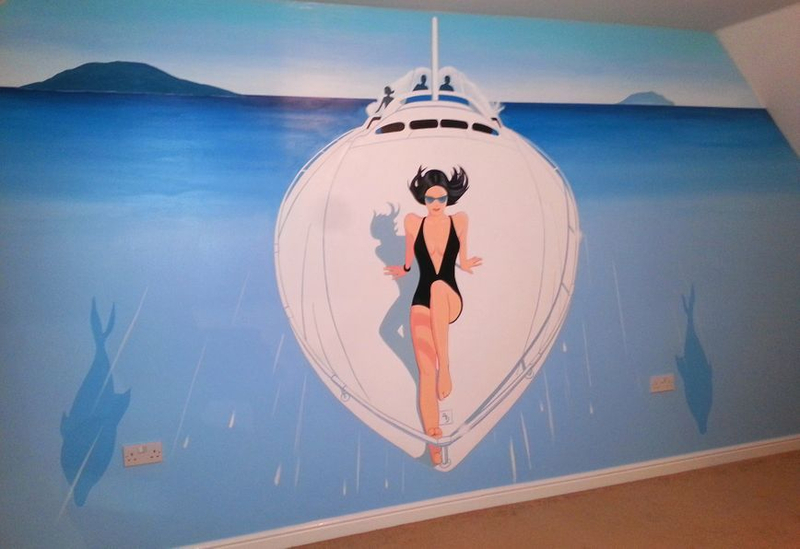 This we painted in a loft room office in a house in Berkshire. 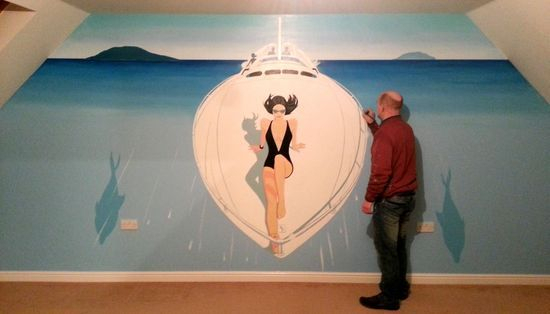 This stylish looking lady on a speedboat took us 16 hours to paint. You can watch us paint this in this time-lapse video.